There’s a lot going on in the world of TESOL and EL education, and we’d like all of it to be reflected in Currents! We welcome reviews of books and materials, reports on meetings and events, personal experience accounts, and articles on everything of interest to MATSOL members: adult education, PreK-12 education, bilingual and dual-language programs, ESL in higher education, educator-preparation programs, Intensive English Programs, and private language schools. We are interested in articles on teaching ideas, community outreach, professional-development initiatives, profiles or interviews of significant figures, and discussion of issues that our members should be aware of. We’d also love to publish stories from students— about their adjustment to life in New England and their experiences learning English in our English-language programs and elsewhere. We welcome articles with scholarly content as well as those that share interesting experiences or give practical advice. If you have something to share, don’t hesitate to send it to us at [email protected]. The editors will work with you to get your article or report into good shape for publication. 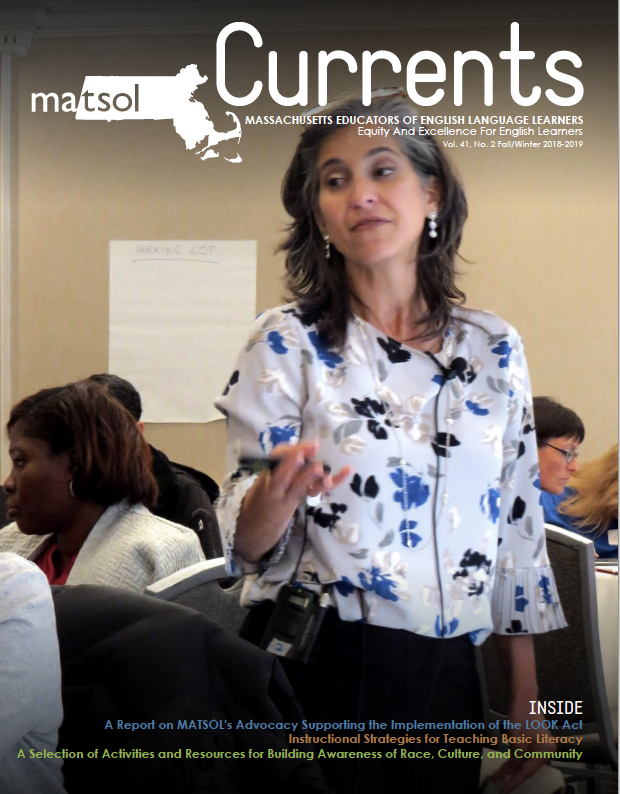 MATSOL also wants to support our members who have not yet had their writing published. If you have an idea for an article or review, but are not sure how to develop it, please write to Editor Mary Clark at [email protected] and she will be happy to provide feedback.